How do you experience the aging process? Is it tinged with anxiety and regret? Or do you see it as an adventure, a time to find meaning, and a ripening? Or, is it a little of both? The Blessings of Aging, a course based on Joan Chittister’s best-selling book, The Gift of Years, explores this time of maturation with fresh eyes, with joy for what has been and optimism for what is to come. 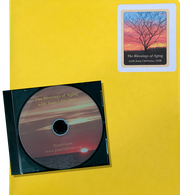 In nine brief videos, Sister Joan explores themes of aging such as meaning, time, joy, regret, spirituality, and legacy with an invitation to explore with others the blessing and challenge of each theme. Session by session, you will be guided to embrace a vision of elderhood as a blessed time to be alive.